Full Circle is a Seattle-based organic produce delivery that has been in the business of sustainable farming since 1996. It delivers all-natural, USDA-certified organic fruit and veg and artisanal farm products conveniently packed into multi-sized boxes that can feed anywhere between 1 and 8 people. 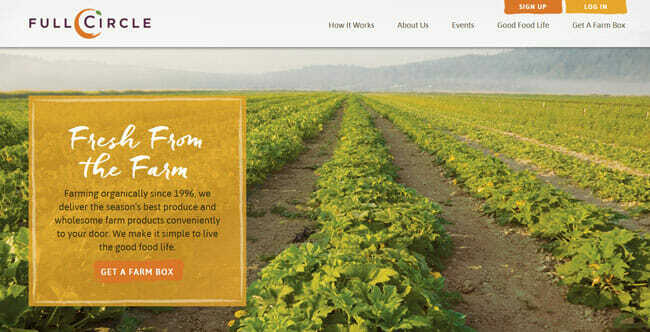 In 2018, the service was acquired by another popular organic food delivery called Farm Fresh To You. As the two companies share the same philosophy, this merger proved to be a great success and only strengthened their respective positions in the market. Read this Full Circle review to find out why this service is so popular and well-loved among its numerous customers across the West Coast. 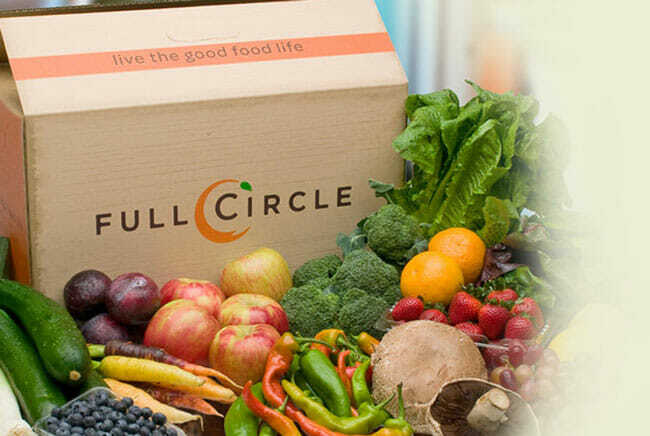 Based on its ordering system, Full Circle can be classified as a subscription-only delivery service. As a new customer, you get to choose one of the 3 subscriptions on offer and receive regular deliveries of organic produce and products until you choose to cancel. The subscriptions available include the following options: Mixed Fruit And Veggie, Traditional CSA (Community-Supported Agriculture), and Organic Snack Pack. We will address the subtle differences between the subscription options in the following sections of our Full Circle review. Once you choose the desired subscription, you get to decide on delivery frequency (weekly or biweekly) and box size, with different size options available with different subscriptions. The boxes contain pre-select fruit and veg items, but you can customize them by adding items you like and removing those you do not want to receive. Customization options also include creating a Never Send list, with items you never want to be included in your delivery, and adding artisan products and grocery basics to your box. The add-ons include everything from dairy and eggs to jams and honey. The subscriptions are flexible, so you can modify them at any time. Depending on your needs and desires, you can skip one or several deliveries, place your subscription on hold for up to 3 consecutive months or end your subscription altogether. The changes you make to your subscription must be completed at least 48 or 72 hours before your delivery day, depending on your location. Otherwise, they will not apply to your next shipment. Fresh-from-the-farm is a term that is often used loosely, but Full Circle uses it in its truest sense. 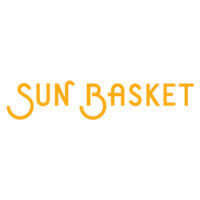 The folks behind this company bring you organic fruit and veg from their own farm and partner with other organic farms to allow you to enjoy both maximum freshness and variety. Thus, ordering from Full Circle is like having friends who are farmers and happy to bring the natural food they produce to your home. However, the company does not only provide the information on where the food on your table is grown but also hosts events where you can see exactly how it is grown and get to know the farmers who are doing all the hard work. These events are organized several times a year. Based on your interests, you can go on farm tours, organized from May through October on the company’s farm in Carnation, Washington, or you can go to the farmer & chef seasonal dinners. The dinners are organized in celebration of the season’s harvest and give Full Circle patrons a chance to chat with the farmers and featured chefs about seasonal fruit and veg, cooking organic, and more. Philanthropic customers may be happy to hear that the company donates a part of the seasonal dinner proceeds to local food banks. Not only that, but it gives its customers an opportunity to help directly by donating an organic farm box to those in need. Finally, it is important to note that Full Circle does not only deliver its products to residential addresses but also has its own Workplace Wellness Program. It allows business owners to create custom organic food subscriptions that suit their needs and the needs of their employees and get regular deliveries of farm-fresh products to their offices. This service is available on demand and with custom pricing. Now, let us discover what is inside each of the company’s boxes. Obviously, the contents vary depending on the season, but all 3 types of subscription boxes have a couple of general distinctive features. 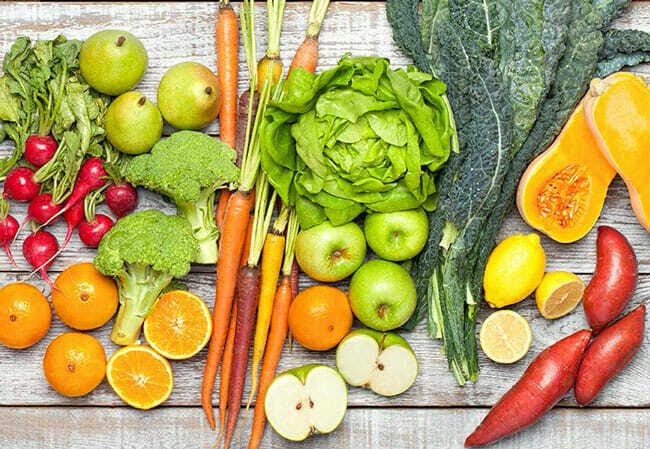 The Mixed Fruit And Veggie box is best suited for individuals and families who cook often and want to get a large variety of fresh, organic produce from all respectable farms Full Circle partners with, including neighboring farms and farms in other US states. You can expect to get anything that is in season, like a couple of pounds of apples, pears, lemons, and mandarins, a bunch or two of rainbow carrots, kale, and radishes, a squash, a bit of leek and lettuce, some cauliflower, and more. This box comes in 4 sizes, including Seed for 1 to 2 people, Sprout for 2 to 4 people, Garden for 4 to 6 people, and Harvest for 6 to 8 persons. The Traditional CSA box focuses on the most local of produce. It brings you fruit and veg from Full Circle’s own family farm and the closest Pacific Northwest farms. In some situations, like during winter, you may get some of the produce from more distant farms – but only if the local farms are unable to provide the desired variety. Apart from the geographic origin, there is not much that separates the contents of the Mixed Fruit And Veggie box and the Traditional CSA box. With both boxes, you get a couple of pounds of fresh organic produce, with a nice balance between seasonal fruit and veg. The Traditional CSA box only comes in one size and that is Sprout, which feeds 2 to 4 people. The Organic Snack Pack box is designed to make healthy snacking easy. 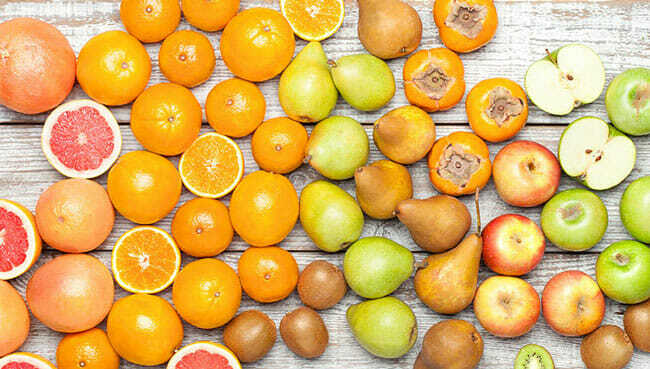 It brings you easy-to-eat fruit that you can take to work or enjoy at home. Unlike the other 2 boxes, Organic Snack Pack does not contain veg. It only includes the freshest seasonal fruit, like a couple dozen apples, pears, oranges, grapefruits, bananas, and various snackable berries. The Organic Snack Pack comes in a single size called Mini, which is enough for 6 to 7 people. In addition to organic produce, you can receive artisan and grocery basics of your choice. These may include dairy, eggs, coffee, home products, body care products, flowers, meat, seafood, non-dairy and meat alternatives, pantry items, snacks, baked goods, grains, jams, honey, nut butters, and the occasional recipe kit. If you need some inspiration or a couple of practical ideas on how to make use of the products in your box, you can browse the company’s large, beginner-friendly cookbook featuring dozens upon dozens of simple and tasty recipes with Full Circle fruit and veg as the star ingredients. The company has a rather fair pricing model. Here are the prices of each of the boxes by size. If you opt for the Mixed Fruit And Veggie subscription, you pay $26.95 for the Seed-size box (for 1-2 people), $32.95 for the Sprout-size box (for 2-4 people), $42.95 for the Garden-size box (for 4-6 people), and $52.95 for the Harvest-size box (for 6-8 people). With the Traditional CSA subscription, you get the Sprout-size box for 2 to 4 people for $32.95. Finally, the Mini-size Organic Snack Pack box that feeds 6 to 7 people costs $34.95. The shipping costs are included in the price, so there are no additional charges. It is important to keep in mind that by customizing your box, you can only increase the overall order value. In other words, you cannot remove items unless you add new ones or increase the quantity of other items and the price of the box cannot fall below its base value. At the moment, Full Circle only ships to addresses within Washington, Oregon, Idaho, and Alaska. As mentioned previously in this Full Circle review, deliveries are made every week or every other week, based on your preferences. Depending on your location, you may get to choose the delivery day. If you want to receive more than one box per delivery, you can add an extra one-time box whenever you wish. You can also pick up your boxes yourself at Full Circle retail locations. If you select this option, you can choose the nearest location and pick up the food during the location’s business hours provided in the weekly and bi-weekly order reminder emails. To make sure Full Circle meets all your standards and expectations, it is important to know its biggest advantages and disadvantages. With a short overview of its pros and cons, you can easily decide if Full Circle is the right company for you. If you live in an area where fresh, organic produce is hard to come by, Full Circle can be a great solution. Of course, provided that your address is within the company’s delivery map, which could definitely use expansion. Overall, we are more than satisfied with the company’s selection of fruit and veg and the range of farm-fresh groceries and artisan products available is pretty amazing. We love that you can customize your boxes to your desire, so you only get what you really want. The prices are good and there are no extra shipping and handling fees. 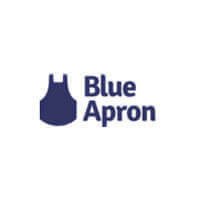 We just hope that the company will soon expand its partner network, thus making fresh organic food more easily available to a larger number of health-conscious home cooks. Our ratings are the result of an objective and independent evaluation of Full Circle, generating the final rating that reflects the overall quality of the company. Ratings may change as the service changes. Full Circle customer rating based on 3 customer reviews. I am a big fan of Full Circle, but I have to say that if you eat a lot of fruit and veg like we do, you shouldn’t get the smallest box for 2 people, at least go with the sprout box. The first time we ordered, we picked the seed box, we ate it all in a couple of days, there wasn’t enough to last a whole week, so the sizing isn’t exactly right. We now get the mixed fruit and veg harvest box and split it with friends, it works great for us and it’s more affordable that way. We switched to organic the moment we found out we were pregnant and a friend recommended Full Circle. We’ve never ordered from a produce delivery before, so we were a bit skeptical, but we were pleasantly surprised by the freshness, and the fruit definitely tastes much better than what we get at the store. Easy, convenient, not too expensive, and most importantly, you don’t have to order more than you can eat. A really great service, 5 out of 5 stars. We found 0 verified Full Circle discounts for April, 2019. There are no Full Circle coupons or discounts right now.